If you’ve already gotten your Valentine’s Day shopping done, it’s time to look ahead to the next holiday of the month. This year, Presidents Day is on Feb. 15, and Best Buy is offering a sale to celebrate. For a limited time, shoppers can save up to 30% on major appliance top deals. Find discounts on refrigerators, washers, dryers, ranges, dishwashers and more. Shoppers can also score an extra 10% off if they purchase four or more Samsung kitchen appliances, excluding open-box items. 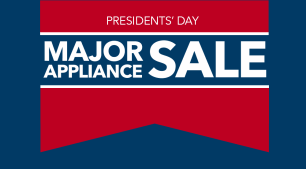 This appliance sale ends Feb. 24. In addition to the price cuts, the retailer is also offering free delivery on qualifying major appliance purchases of $399 and up (a $69.99 value) in limited delivery areas. Save more at Best Buy with our Best Buy Store Guide and Best Buy Sales and Events Guide.